Find this London pain clinic someone who plays sport during the week and claims they are injury free, and you will have found me a liar! 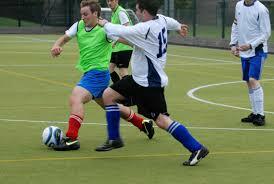 Injuries are part of the game, but when we talk about injuries, we think of those impact acute injuries. A clash of heads in rugby when two players reach impact causing a black eye or, turning an ankle on slippery AstroTurf, as the British winter hammers down a flood of rain in a midweek kick about. Let’s be realistic, most of these injuries will not be treated correctly. Most people will not seek assistance as once you have finished your sporty runaround, it’s back to home life and work the next day. No time to continue icing the injury or treating it correctly, let alone visiting a pain clinic. As soon as you can walk on it, it is forgotten about (treatment that is – not the awareness of the pain). But before you know it, an imbalance is caused and continued activity on the injured area leads to chronic problems. Anything from a jumper’s knee, which is inflammation of the patellar tendon, to heel spurs; a calcium deposit on the underside of the heel bone. Now you are in chronic territory! Yes, attendance to a London pain clinic where prevention would have been better than the cure should have occurred, but it didn’t. As I mentioned before, our lives are too busy and unlike elite sports professionals, we don’t all have a professional physio waiting for us as we arrive at work every morning. What we all do have is access to shock wave therapy! A process that has been used in elite sport for a couple of decades now. You can also benefit from this. A single session at BODY FIRST UK, our London pain clinic has been shown to make massive improvements, in terms of rapid pain relief! The session is very straightforward. The location of the area to be treated is determined following a consultation with a qualified practitioner. Once the injured area is detected, gel is applied. The gel becomes ‘the magic bean’ as it is imperative for the transfer of acoustic waves that are at the heart of the treatment. Finally, the shock wave apparatus is applied to the area and a smooth and consistent stream of sound waves are generated. The sound waves trigger a response in the body where it now distributes healing properties to the area. Does it hurt you ask? Yes, there is a chance you will feel a sensation. But the body is responding to the stimulus and it’s very easy for the treatment to be adjusted in an instant. Treatment lengths can be for only 5 minutes. So, do not be intimidated, for the length of one and a half songs on Spotify you can experience true pain relief and the sensation can be described as a discomfort at worst. If you feel an affinity with the ‘part-time players’ mentioned in this blog and are carrying an injury, don’t hesitate to contact us at BODY FIRST UK. 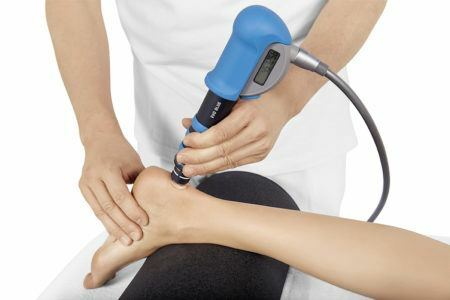 If you want to play a tennis match with less discomfort that you have felt for a long time, or want to enjoy the midweek 5-a-side game without the niggling groin, then try shock wave therapy. It’s hard to find someone who doesn’t speak highly about this method of treatment and how it has contributed to them playing pain-free (which has not necessarily led to a higher level of performance!). 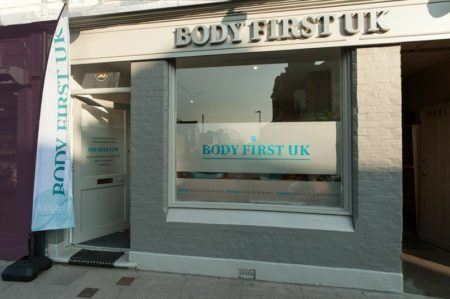 BODY FIRST UK offers a free consultation before any treatment.